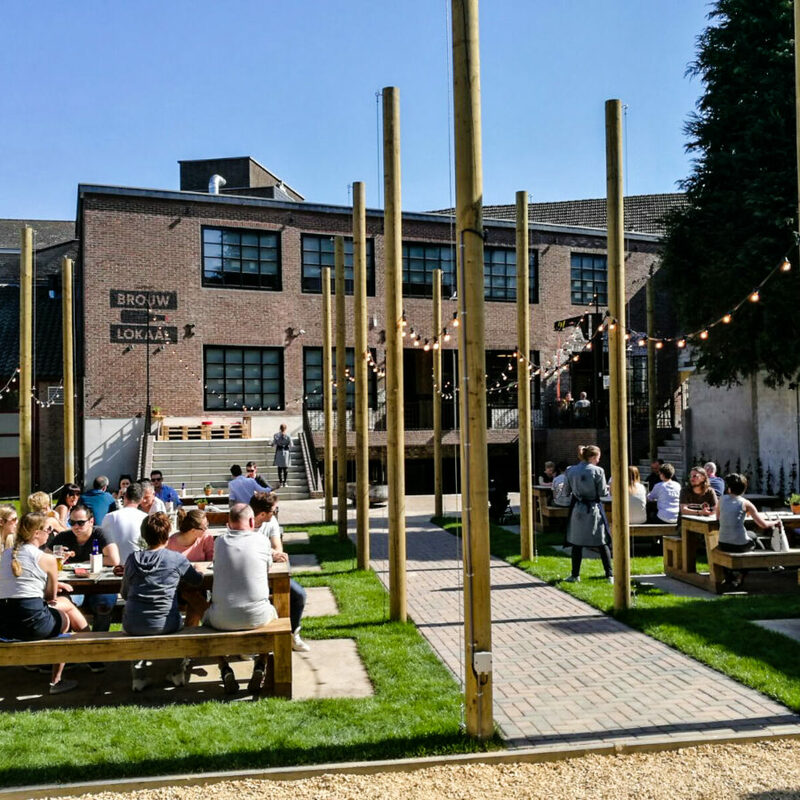 The BrouwLokaal consists of a Micro-brewery, a Library of Flavours, a Beer theatre, a Study lab, a Beer shop and a unique 25 miles catering concept with its own outdoor café and Hop garden. Each element propagating the legacy of the brewery and together they form the most complete beer experiencing centre of the Netherlands. The BrouwLokaal is open 363 days for beer lovers, but also offers interesting possibilities for corporate guests. The Micro-brewery is the ideal experimental garden for the development of new beer recipes, – flavours and – styles. Here we not only experiment to our own heart’s content, but we also offer a professional platform for beer lovers who want their own beer creations to come to life (up to 250 litres). 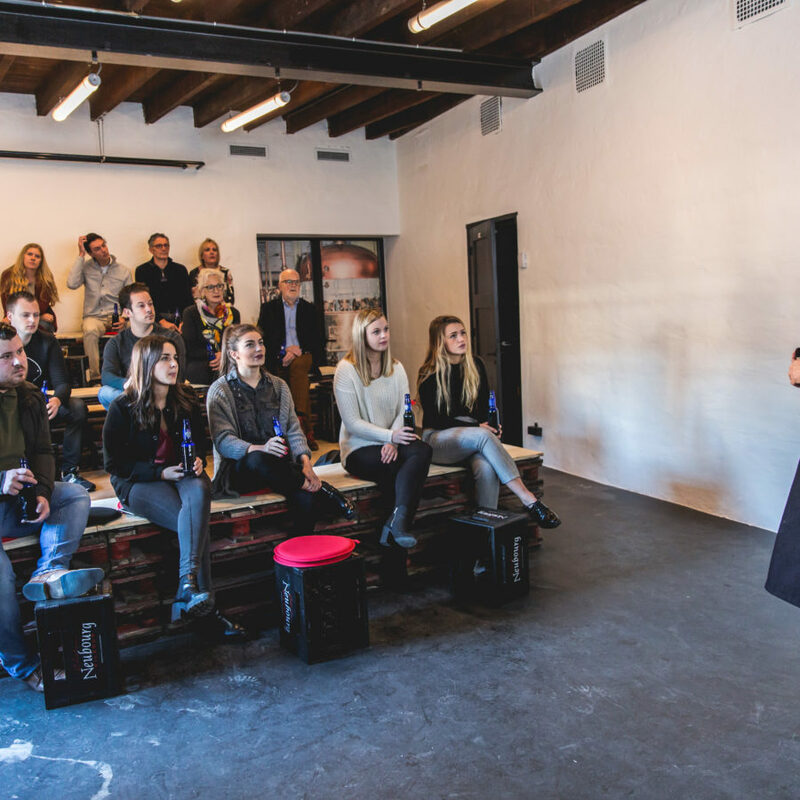 The Micro-brewery also hosts educational session at every level of the beer brewing profession and for corporate guests it is the pre-eminent place to learn more about for example Corporate Social Responsibility. 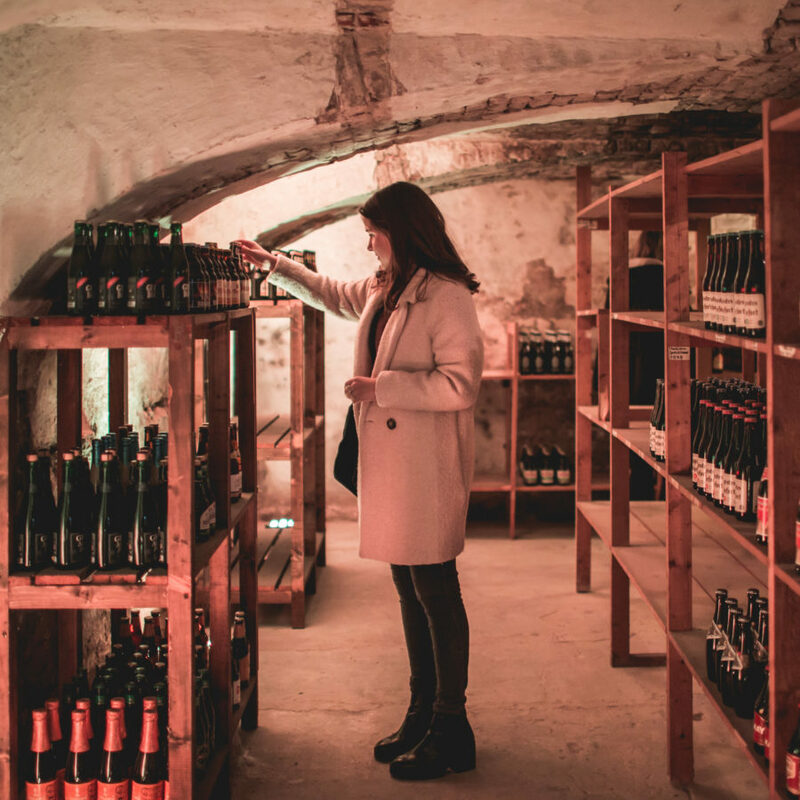 Descend into the centuries’ old arched cellars of the brewery and discover by candlelight a unique beer collection of over 100 styles both of national and international origin. If you book the ‘Secret Beer drinking bout’ package, you will hear the full story behind the most special beers. You will also get the chance to taste what influences such as time and wood cask lagering do to the flavour of beers. Visitors who book a guided-tour or another package start in the Beer theatre. 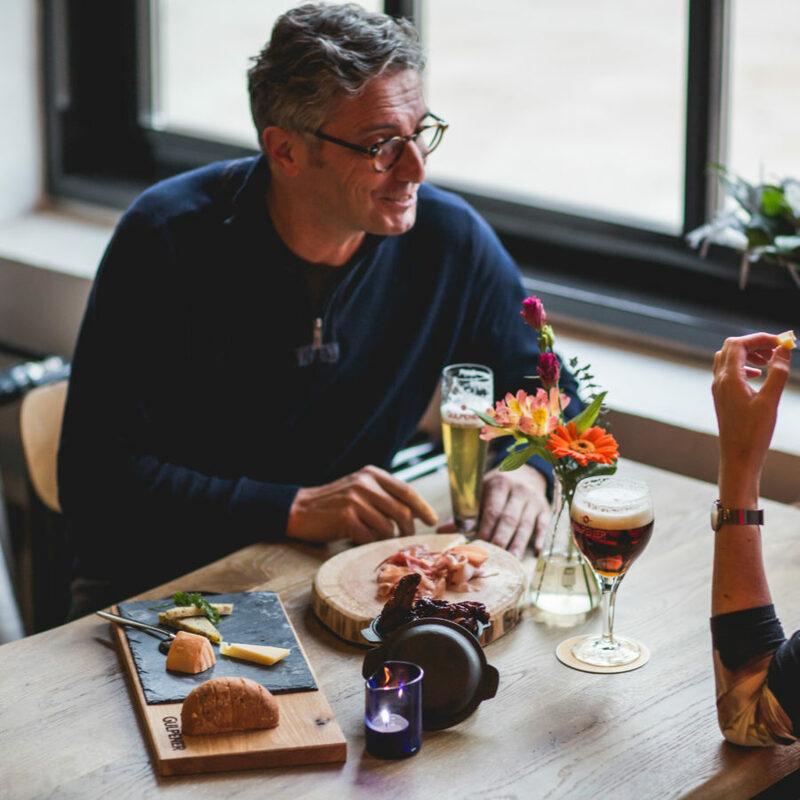 Here, André Köppen, the first Dutch certified beer sommelier, will guide you through the past and present of the Gulpener Bierbrouwerij. As an independent family concern and a free brewer we have no secrets. André or one of his colleagues would love to tell you all about it. With 15 Gulpener beers on tap, including also experimental beers from the Micro-brewery, beer is pivotal in our bistro, but you can also enjoy pure and tasteful food from local soil. Set up according to the 25 miles concept we only serve dishes that have been cooked using products that have been produced within a range of 40 kilometres. Surrounded by knowledge and creativity the Study lab is the ideal study- and training facility for beer lovers and amateur brewers. 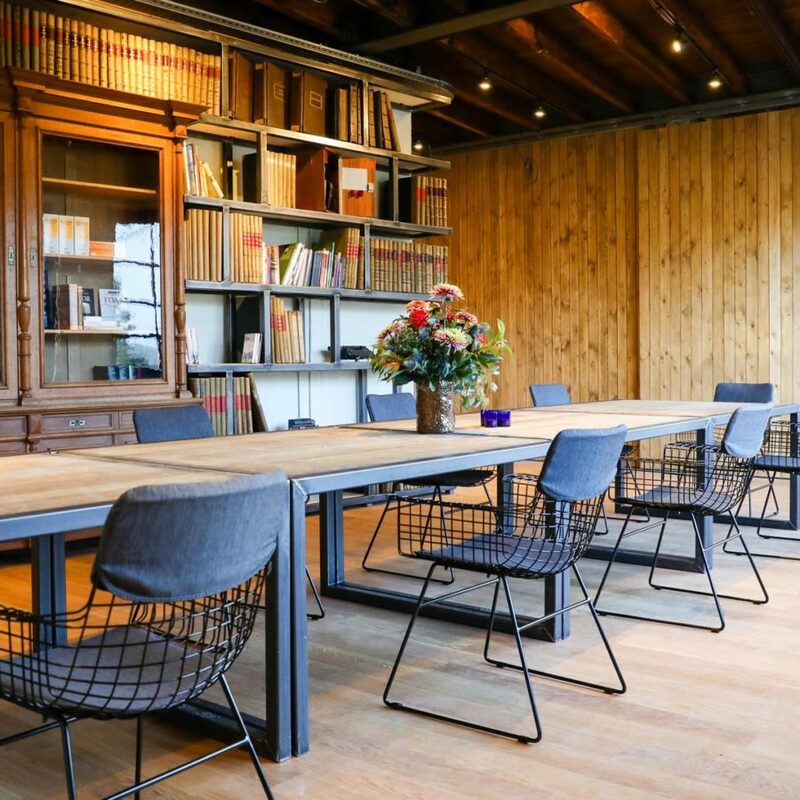 In the Study lab our corporate guests find an inspirational location for classes, meetings and corporate presentations. 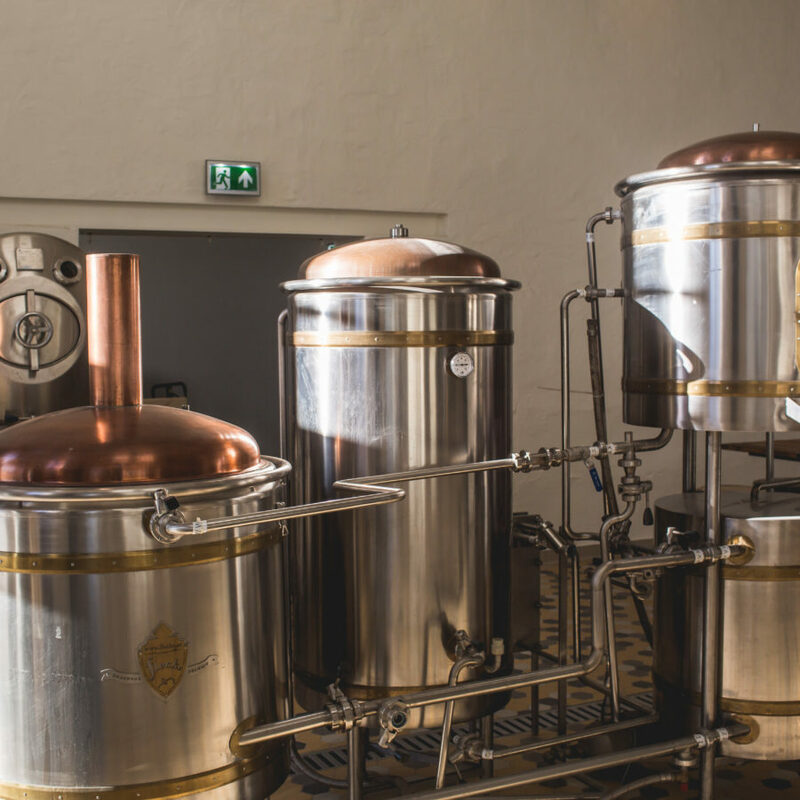 In addition to an impressive collection of books on beer, brewing processes and the history of Gulpener, the facility is equipped with state-of-the-art audio-visual equipment. Is there something of the good Limburg way of life that you want to bring home with you? Our Beer shop offers not only all our beers but also all ingredients and accessories to brew your own beer, including our live yeast. 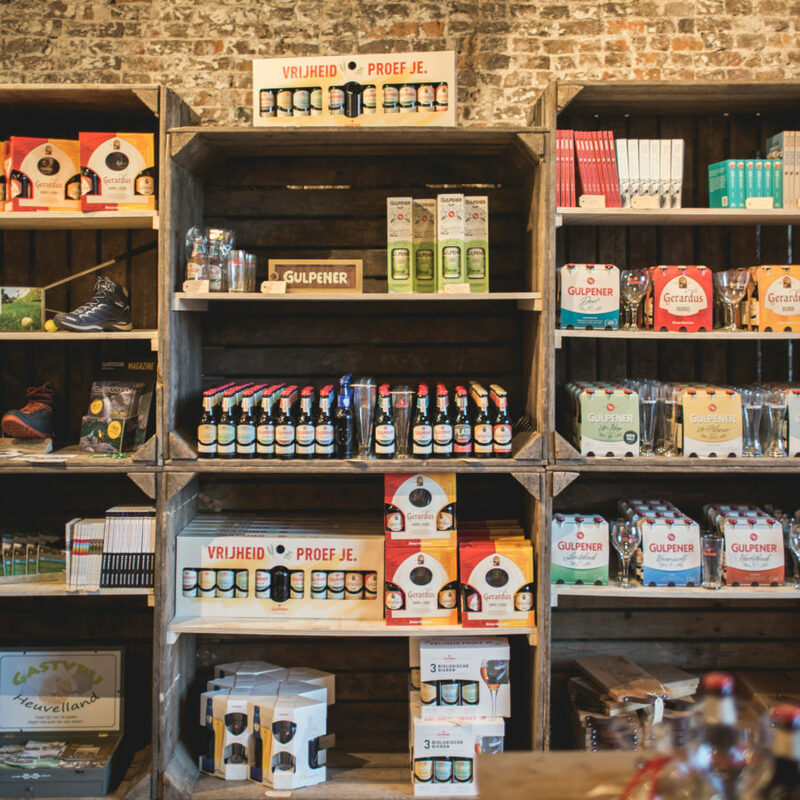 You can also find an excellent selection of books and other beer-related articles. While you are in the Beer shop there is also the possibility of booking one of our packages while you are there. Fancy unwinding while enjoying a local snack and a drink? Then the terrace of our attractive walled hop harden is the place to be. Its cosy tables and large fire baskets create a relaxed atmosphere in which relaxation and exertion are a perfect match for each other. The BrouwLokaal is freely accessible for everybody, but you will yet see and learn a lot more with one of our packages.